Have you watched the TED talk where Linsey Pollak turns a carrot into a clarinet using an electric drill and plays his ‘carrinet’? Apart from giving a completely new meaning to the concept of playing with food, he gives a perfect example of endless possibilities of imagination and creativity which might result in something absolutely practical: a musical instrument at a much cheaper price and a full day’s supply of vitamin A as added value. How can we turn our creativity into something tangible and valuable for the classroom? One of the ways is to create our own teaching/learning aids out of whatever we have available. and require no expensive materials. All you need to make them is a sheet of paper. And the added value? Increased happiness. Your learners will experience the joy of creating something with their hands and see useful and tangible results of their efforts – their own learning aids. Flip cards make excellent visuals for learning and revising vocabulary and grammar. There are several options of flip cards you can make/or your learners can make to remember word forms better. How to make: take a strip of paper, fold one-third of it, and write the word needed. Tip: write the resulting word first, i.e. the word with the ending on the folded part, then unfold and add the other letters (if any). You can also make a zigzag card with several words. Take an A-4 sheet of paper, make a one-third fold, then unfold and fold it in half twice to make a zigzag. Make cuts for the folds and write the words you would like to practise. We can make a flip card for a guessing game. How to make: fold a sheet of paper in half, fold it to get 3 squares (or 2 squares, depending on the number of words to be guessed), make two cuts, draw three question marks and the words (e.g. irregular verbs). If you engage your learners in a writing activity, it is a good idea to consider ‘publishing’ their own small books. With a bit of imagination (and scissors), you can arrange various visual displays of creative efforts of your learners. 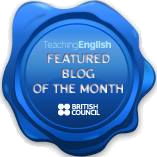 See a very interesting idea in the post LESSON TIP: CREATIVE DISPLAYS by Pete from ELT-Planning. This card may be used as a vocabulary organizer with some basic information about the word and serve as a flash card at the same time. 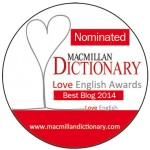 See how to make it and use it in the classroom in the post ALL IN ONE: VOCABULARY ORGANIZER/FLASH CARD MAKER. If you fold a sheet of paper 5 times, you will get a puppet head. And if you get one more sheet of paper, the head will get its body. See how to make a puppet out of a sheet of paper and use it as a learning aid in my post ONCE YOU’VE HAD A PUPPET, YOU NEVER GO BACK. You can also make a game field and turn a test into a game for your students, brush up on grammar or vocabulary, or set speaking assignments. See how to play the game in the post The Football Game (with excellent low-tech and PPT templates designed by Tekhnologic). What would you make out of a sheet of paper?